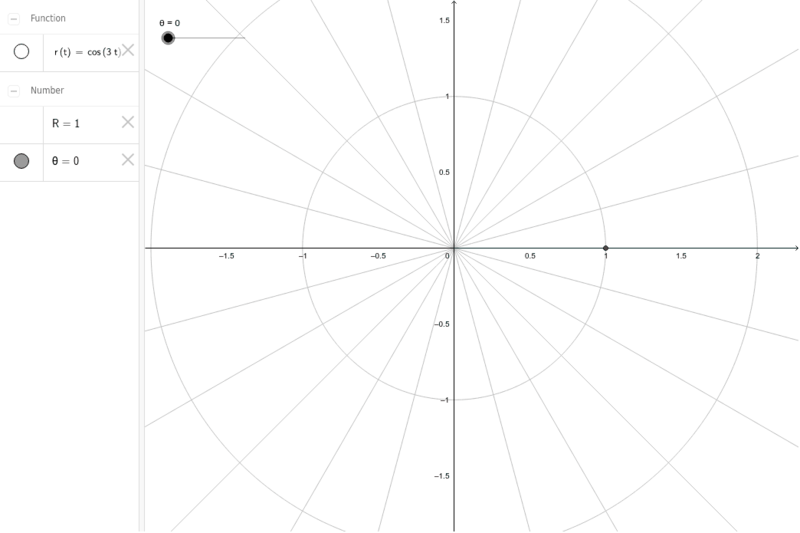 Edit the first object, initially r(t) = cos(3t), to the polar graph of your choice. Grab the angle slider to draw the curve, or right click on the slider and choose "Animation On". Use the scroll wheel to zoom in and out. The Pythagoras' theorem - numerical examples.